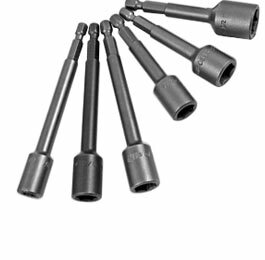 Apex® has manufactured top-quality screwdriver bits for decades in response to the ever-changing demands of fastener applications. These demands vary by industry, but are particularly exacting in the automotive and aviation industry. 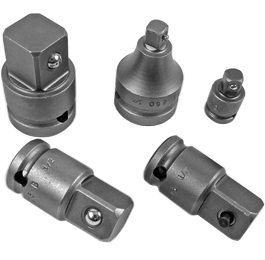 Apex® Bit Holders offer the flexible use of insert bits with a variety of tools used throughout the aviation industry. 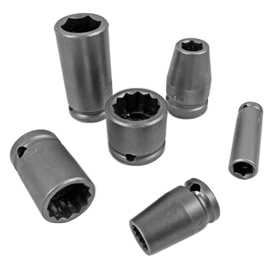 Many Apex® bit holders are available in magnetic or quick release, allowing for the use of a variety of insert bits in power tool applications. Apex® industrial grade impact sockets are available in a wide range of lengths and wall thickness, diameters and with single or double hex opening. 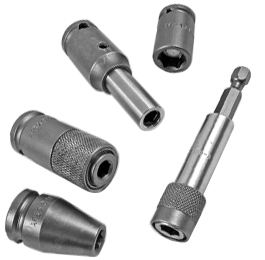 Apex® provides the accessories needed to adapt sockets to nearly every tool and application. 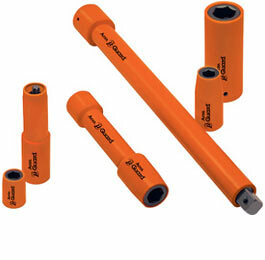 Apex® male hex drive nutsetters allow nutrunning in all types of applications. Quality design and construction give Apex® nutsetters a long service life and durability even in the toughest working environments. 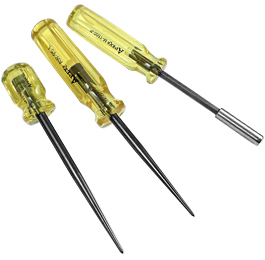 Apex® hand drivers including awls, drivers with self-contained insert bits, replaceable bit drivers, magnetic replaceable bit drivers and industrial bit driver bits. 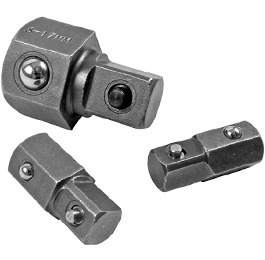 Apex® straight square drive and universal (swivel-flex) adapters. Apex® square drive adapters have hex tolerances that are on average 48% tighter than DIN and 35% tighter than ANSI requirements. 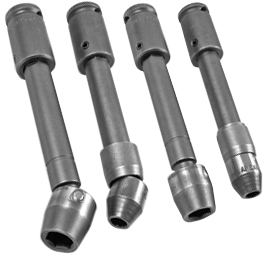 High strength fasteners in demanding situations in hard to reach area, often require the use of a Apex® socket extension to deliver the amount of torque required to tighten or loosen them. With Apex® you are assured of an exact, sure fit. All Apex® special sockets and accessories have the tightest tolerances for straightness and concentricity in the industry. 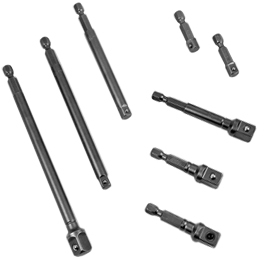 Apex® universal wrenches are the industry standard. Hard-to-reach areas are no problem with the wide range of Apex® universal and extension universal wrenches. Apex® u-Guard covering is made of a thermo plastic urethane which cushions against costly incidental side impacts. 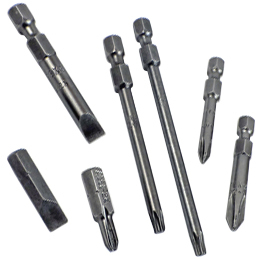 It offers the lowest sustained coefficient of friction for maximum tool efficiency. © 2019 Omega Technologies, Inc.